Spacious rooms with simple and elegant decor, with essential amenities. 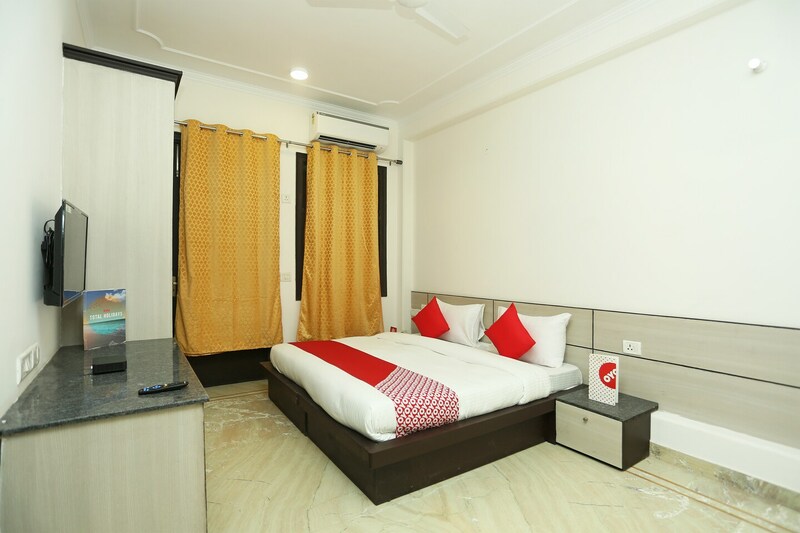 The pocket-friendly and comfortable hotel is situated in DLF Phase 2 in Gurgaon. The nearest metro station is DLF Phase 2 Rapid Metro. IGI Airport is a 32 drive from here. Nearest landmarks include Leisure Valley Park, Kingdom of Dreams, Fun & Food Village and more. The hotel has an in-house restaurant and a conference hall in its premises. The gorgeous hotel and its sophisticated rooms are gracefully decorated. The rooms are equipped with Wi-Fi, king sized bed, AC and TV. Other amenities include card payment, laundry services, CCTV surveillance and power backup. Organic Express, Curry Company, Potli, Clay Ovens and Mauja hi Mauja are located nearby.